NEWTOWN -- Charlotte Bacon was remembered Thursday as a spirited, warm-hearted little girl who loved the color pink and any animal she met. 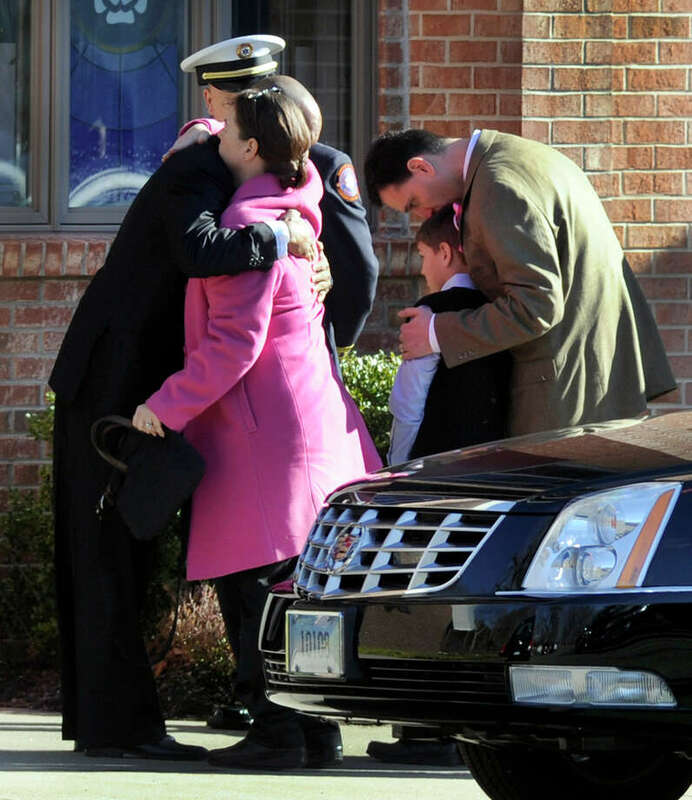 A memorial service was held for the 6-year-old girl at Christ the King Lutheran Church. Those at her service each received a button with her likeness and a program with a cover that featured an angel superimposed over a sheet filled with the name "Charlotte." Linda Clark, a town resident who attended the service, said Charlotte's mother, JoAnn, described her daughter as an exuberant, bubbly child who was willing to argue for the things that appealed to her. "She said her daughter would say "I want it, I want it," Clark said. "Then it would be `I need it, I need it.' "
Clark said that JoAnn Bacon also brought up her daughter's love of pink. Previous reports have told how Charlotte, getting a pink dress and pink boots for Christmas, could not wait until Dec. 25 to show them off. She wore them to school the day of the shooting. Clark and Adel Joobeur said family members spoke of Charlotte's love of all animals. The Bacons' pet golden retriever, the two said, was especially favored. "They said he was a member of the family," Joobeur said. And Clark said, there was an acceptance at the service of Charlotte's destination. "Her mother said she was in heaven," Clark said. The service was attended by Gov. Dannel P. Malloy, U.S. Sen. Richard Blumenthal, U.S. Sen.-elect Christopher Murphy and U.S. Rep.-elect Elizabeth Esty.